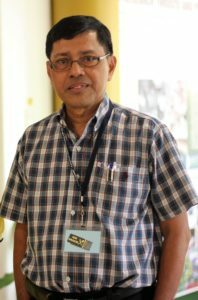 The UP Board of Regents (BOR) in its January 26 meeting (1332nd) has renewed the appointment of Dr. Felino P. Lansigan as Dean of the College of Arts and Sciences, UP Los Baños. This will be Dr. Lansigan’s second three-year term as Dean, since his first appointment to the office in 2014. INSTAT Director Dr. Consorcia E. Reano, and Former CAS Dean Dr. Zita VJ. Albacea. Every year, the College of Arts and Sciences honors faculty members, student, and staff who have made valuable contributions for the advancement of the ideals and aspirations of the college. 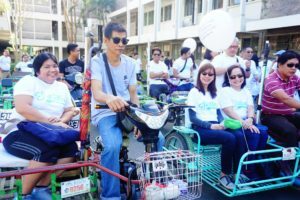 The 2017 CAS Araw ng Parangal that was held on November 24, 2017 at the CAS Auditorium also served as one of the highlights of the 45th Foundation Day anniversary celebration of the college. During the awarding ceremony, two faculty members from the Institute of Statistics were recognized as 2017 CAS Outstanding Faculty.